The use of software as a service (SaaS) application is widespread and everyone has some exposure to these application. 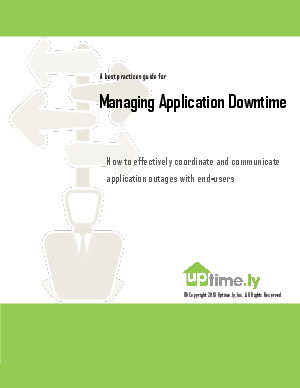 Since all SaaS application experience downtime at some point - the ability to efficiently and effectively communicate the issue, remedy, and timeframes for getting the service up again is critical to your reputation. This paper discusses some proven best practices that some of the biggest, most well known SaaS vendors seem to neglect. If you provide a SaaS application to others or you use a SaaS application then you will find the information in this paper helpful.